It seems like a lot of my friends are celebrating major life events lately, which is awesome. A longtime friend and his wife just welcomed their first child, and another friend told me his family is expecting baby No. 2. And this summer it seems there are at least two weddings to attend, with a third one imminent. Not to be outdone, we recently had a major life event at the Jones household. Yeah, we’ve got a 12-year-old and a 7-year-old, but that doesn’t mean we’re boring. There’s still the occasional big news here. It was last month that we welcomed the arrival of … my daughter’s first smartphone. The smartphone is something that always impresses me when it comes to how much it has changed our lives in a short amount of time. Remember when to meet someone out, you had to make plans in advance, then stick to the plan? Or when after you left the house, you were mostly unreachable until you got home? I was having this conversation with Cheryl Claborn, membership director of the National Association of Landscape Professionals, at a recent trade show. We talked about how we’re all seemingly chained to our phones. If you miss a call or don’t reply right away to a text, you must either be mad at that person or dead. There’s no in-between. A coincidence occurred after I left Cheryl’s booth — just a few booths down, I met Thomas Welsh, president of Voice for Turf — and we picked up right where Cheryl and I left off. Voice for Turf is a company that delivers voice and data solutions for lawn care companies. 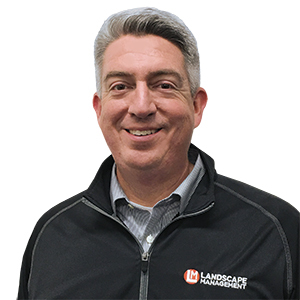 The business began in the pest management industry, then sprouted up in lawn care because of the many companies worried about the complexities that go along with how people expect calls to be answered in our ultraconnected world. Welsh told me it’s his job to “rescue” people from the chaos of our new phone call culture. For example, when the Voice for Turf system is integrated with an LCO’s customer database, calls that come in are instantly qualified as current customers, prospects, vendors or junk. While calls from current customers are connected with their information popping up on a computer screen, robocalls are sent to oblivion. Welsh says that while the expectation of being attached to our phones has gotten out of control, the younger generation — like my daughter, eventually — will even further complicate things. But Welsh did have some good news — he says the days of robocalls are numbered. Hopefully it comes before the next major announcement from the Jones household — the day my son inherits his big sister’s smartphone. That is, if her phone isn’t obsolete by then.